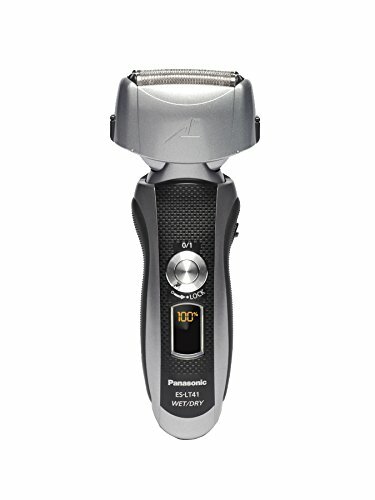 This Panasonic Shaver gives you solid technology at a very good price. This isn’t one of those shavers that include all the gimmicks of a very expensive shaver, instead its performance is really efficient and effective. What makes this Panasonic Shaver stand apart from others? With all the smart features that men want these days, this is like a run-of-the-mill shaver. 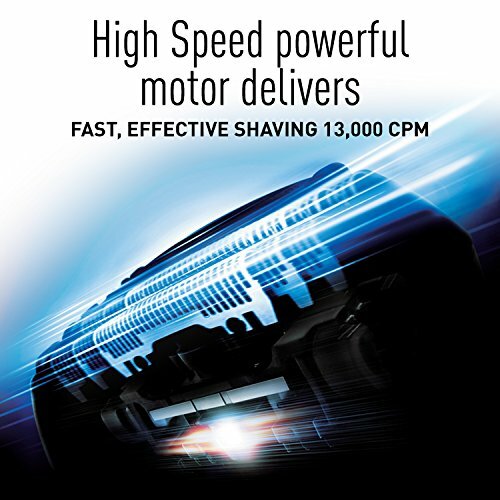 A powerful motor is extremely important for a quality shave and with its 13,000 CPM fast liner drive motor, this electric shaver delivers what even those expensive 14,000 CPM ones cannot. The word ARC implies that the blades and the outer foil feature of the shaver’s area have slightly curved profile. With 3 independently moving blades, the middle one being a slit foil, to capture and cut very long hairs to a suitable length for the other two blades to cut. 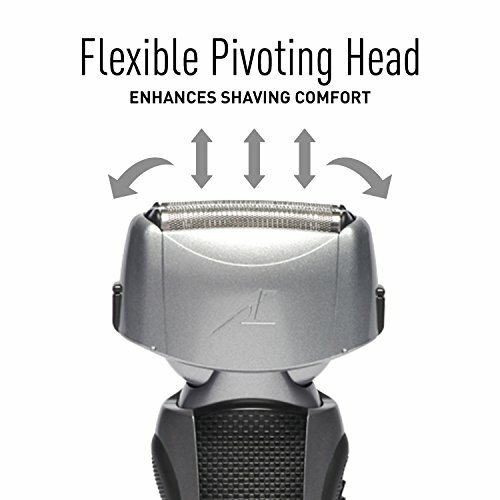 The shaver head on this Panasonic Shaver, ES-LT41-K, can only move from left to right and not back and forth, which some people actually consider an advantage, since it makes it sturdier and easier to control. But performance wise this is still capable of delivering on the promises it makes. The Panasonic ES-LT41-K can only be operated cordless, as is the case with all wet/dry electric shavers. The Li-Ion battery charges fully in 60 minutes and gives you a runtime of 50 minutes. With a 5-minute quick charge feature, you can always rely on this when in a hurry. Here again, you’ll never have to face the dreaded issue of your shaver giving up on you mid-shave, most men can’t count the number of times they’ve left to work with an unevenly shaved face because they forgot to charge their shaver and failed to realize the same. Being 100% waterproof, cleaning it is extremely easy. Just apply some liquid hand soap and water on the outer foil and turn it on. Its sonic vibrations cleaning system will ensure your shaver is cleaned properly. Once you complete the process, just remove the outer foil and rinse the shaver under running tap. This particular model does not come with Panasonic’s automatic cleaning device, but then again, most people with the automatic cleaner never use it regularly, owing to the high costs of the detergent or cleaning liquid that has to be replaced every few weeks. Panasonic has used special Japanese Technology which was used to forge swords to recreate the sharpest and hardest electric shaver blades ever possible. The Panasonic Arc 3 has a standard 3 blade system for basic shaving, this shaver has an Ultra-thin foil cutting system that too with nano-blades placed at 30 degrees. Though it may look simple to many people, but still this device is capable of giving you really close and clean shaves. Designed with hypoallergenic metal, the blades and foil, will not cause any sort of irritation even on the most sensitive skins. With its slit foil it is really easy for you to maintain those long beards. You don’t get a separate cleaning and charging station with this device but the sonic vibration cleaning mode is really efficient when it comes to cleaning one of the best electric razor for men. Capable of getting out even the, stubborn tiny hairs that are caught between the foil and blades. Foil shavers are bit more skin friendly, they work really well even on sensitive skins when compared to their rotary versions, and the ones Panasonic offers, with fast motors, hypoallergenic blades and sharp blades, you definitely get a very solid option. Designed with ergonomics in mind, this electric shaver is sleek and easy to grip, even when it gets wet. It is very comfortable to hold even after a few minutes of shaving. It’s not too noisy or loud when compared to other electric shavers out there, meaning you don’t have to worry about waking up your wife or roommate, if you’ve had to groom early. 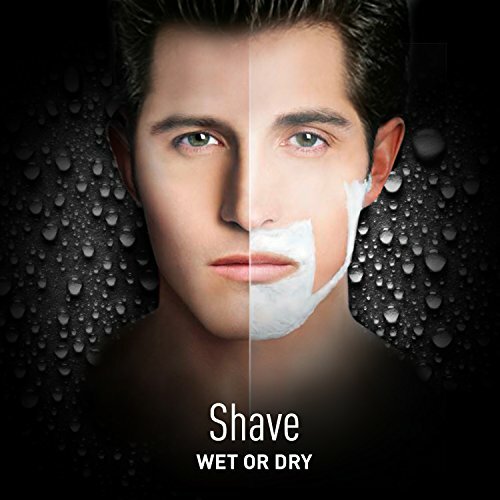 Compatible for both wet and dry shaves. Using the ES-LT41-K with a quality shaving cream will definitely make a big difference in both closeness and comfort while shaving. his is a great product especially for those who have just started with an electric shaver. 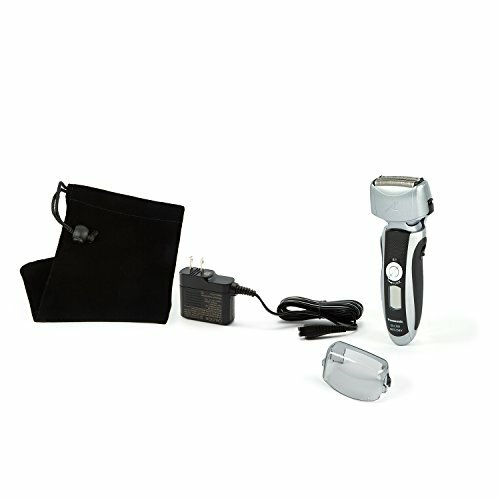 A compact, user friendly and easy to use device this electric shaver will deliver on all your needs.